Drahtseilwerk Bremerhaven GmbH roots go back to 1934 after the wire mill Wilhelm Vom Hofe purchased a rope mill. At the beginning, rope production was primarily for the fishery market because of the mill’s close proximity to North Sea. Soon after product range grew by developing new ropes for the crane industry as the mill is located minutes from the Bremerhaven harbor and also by expanding into general industry applications. A second important product line was developed for the shipping industry and ATLAS high performance mooring ropes was born. Atlas Rope has a 6 strand construction with a core made from low elongation Perlon monofilament, a patented product made by Bayer AG. Bayer supplies this raw material and Drahtseilwerk Bremerhaven produces the rope under license. Drahtseilwerk Bremerhaven has also developed Dura-Winchline mooring rope which is made from pure high quality polyamide (Perlon) wires and yarns, an alternative lower priced mooring rope. Atlas ropes are available up to 96 mm and Dura-Winchline up to 78 mm. These ropes are not braided hence can be spliced just like wire rope. 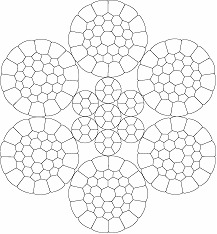 7-strand and 9-strand constructions are possible however from our point of view there is no compelling technical reason to produce these types. Through the company’s sister company they are also able to offer compacted non-rotating ropes up to 82 mm in diameter in 35x19 die-drawn strand construction. 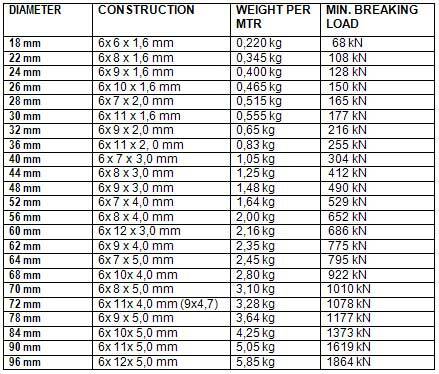 Bigger diameters can be produced according to customers’ unique requirements. 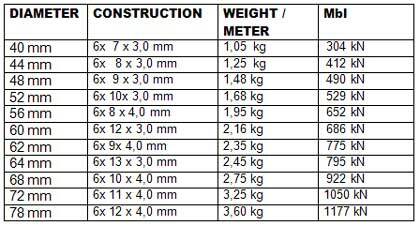 Strands are produced up to 40 mm in 1x7, 1x19, 1x37, 1x61, 1x91 constructions, also in compacted. Drahtseilwerk Bremerhaven is a vertically integrated company whereby the rods are supplied by it’s parent company: a unique and powerful combination. They are in a position to react quickly to special requirements and make customized ropes. They keep a large inventory of rope in their computerized moving rack system. The DURA-Winchline is a mooring rope which is made from pure high quality polyamide (Perlon) wires and yarns. It is an alternative rope when you are looking for a high quality rope at a more favourable price. It does not possess the unique qualities and materials of the original ATLAS-Rope, howerver it is comparable with other quality products. It is made according to the same principle as the ATLAS-Rope and will guarantee a good and secure handling and a safe laying of the vessels as well as the best suitability for mooring winches. The combination with a mooring winch (which provides a proper pretension) and the DURA- Winchline (but also the ATLAS-Rope) results in a mooring system which allows a very stable positioning of the ship. A loss for splicing must be considered with regards to the breaking load mentioned above. 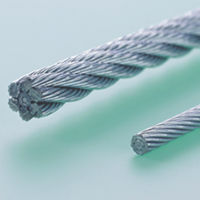 This loss is less than that for steel wire ropes (10 – 15 %) and less than 5 %. This figure is normally not mentioned in the data sheets as it is more a theoretical figure. It should however be observed that a rope should not be loaded that high in order to achieve a good service time.